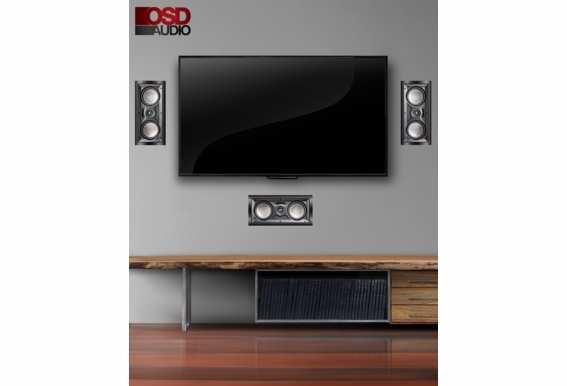 The OSD IWS25 In-Wall LCR (left, right, center) trimless speaker is an economical and space-saving option for adding left, center and right channels to a home theater or media room. 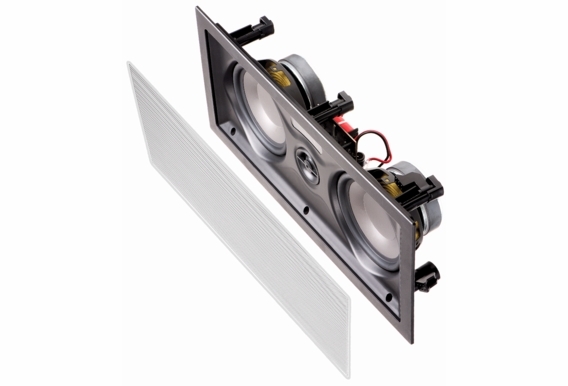 With its architect trimless design this in-wall LCR speaker can be used as a center-channel speaker in a surround-sound stereo or as a right or left speaker in a high-end system and complete your design looks. 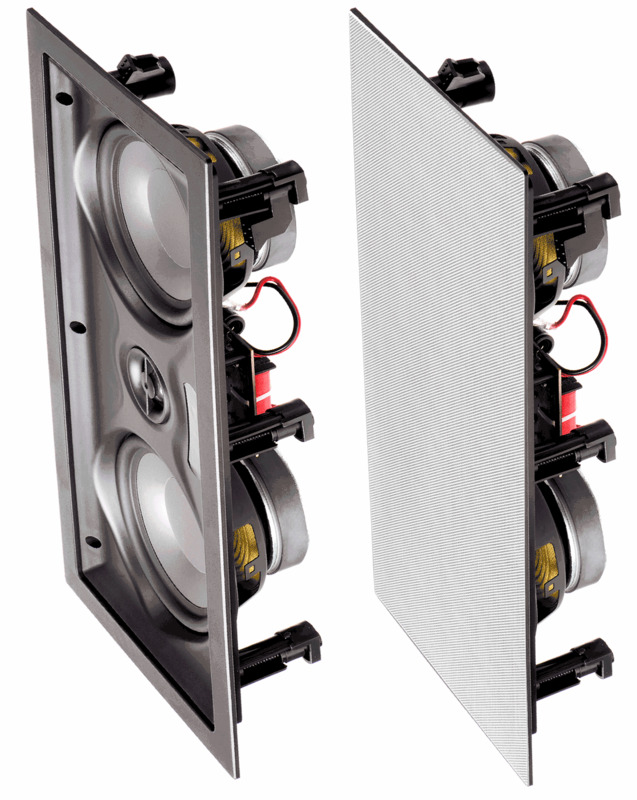 Dual polypropylene woofers produce clear, full bass tones with smooth high-frequency roll-off, while the 1" silk dome tweeter gives you distortion-free sound on the high end. 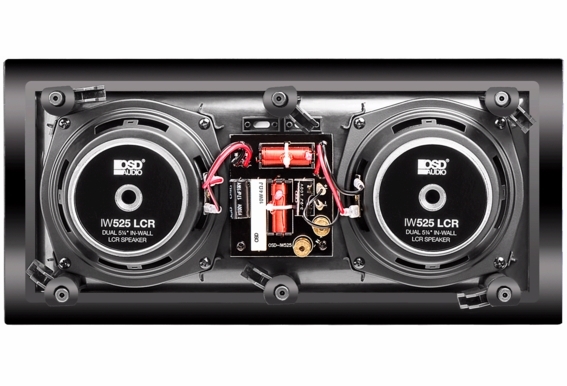 The IW525 is capable of handling up to 150 watts so it can be paired with robust sound systems, and it’s easy to install with the included template. 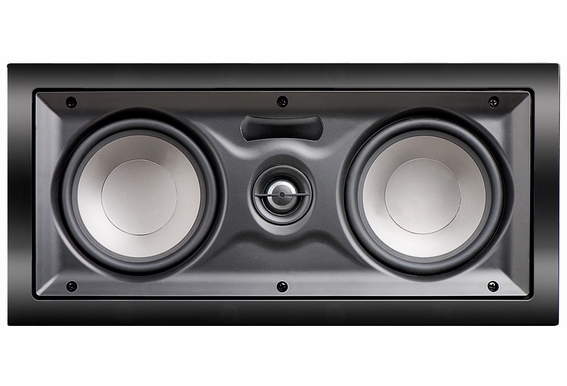 For optimal sound, separate speakers by six to 10 feet. 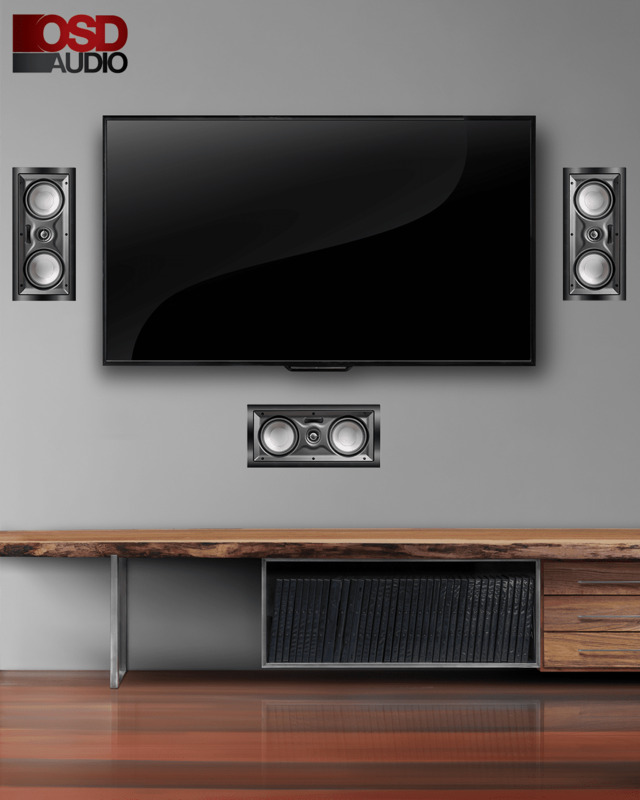 Carefully plan the layout of your home theater system, as speaker installation requires that you cut a hole in your wall. 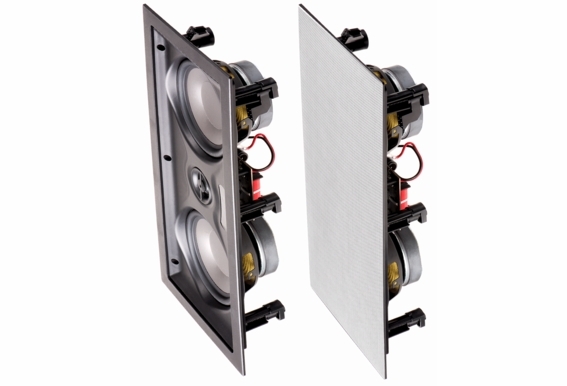 Dimensions: 15.6” x 7.5” x 3.3"
Cut-Out Diameter: 14.3” x 6.25"
The OSD-IW525 may be classified as an entry level LCR (left, center, right) speaker and it does have an entry level price; however, nothing about this in-wall speaker is ordinary. 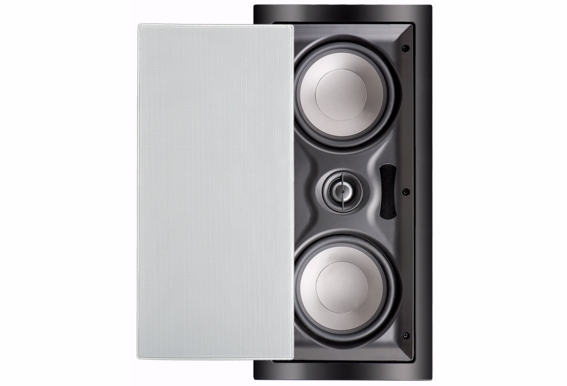 I am purchasing these for my surround sound, can they be used as a single speaker in a separate room or do I need an actual stereo speaker for this application? If I used 3 of these in the front for my LCR what would be a good pair of ceiling speakers to compliment them. The room is in my basement and is 11ft front to back and 15 ft wide. The rear ceiling speakers would be going in a soffit only 7 feet high right behind the seating area. Hi. 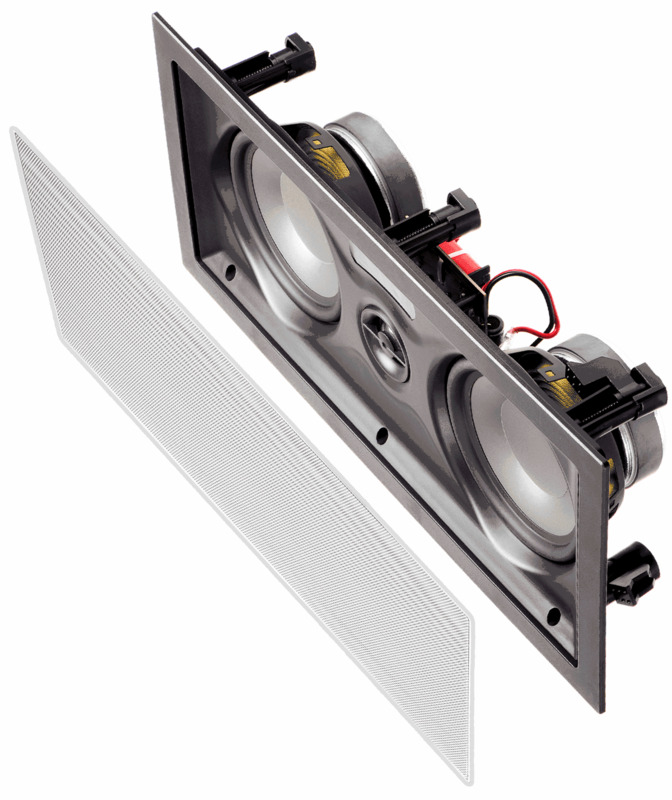 Do you have available this Center Channel Wall Speaker??? Hi, any idea if these will be available soon? 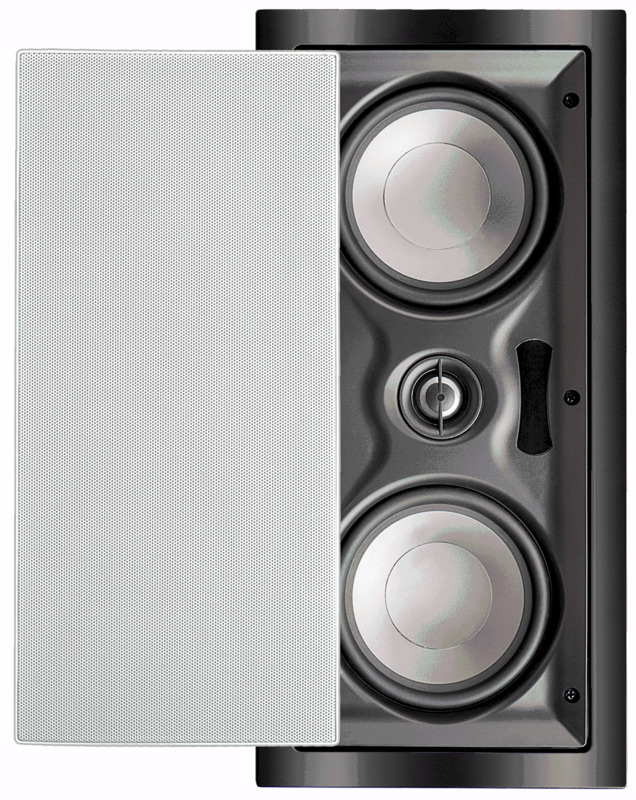 Hi Chris, The IW525 is discontinued and we will not be selling them any longer. We will be continuing with the IW545 however, and those should be back in-stock within the next couple of weeks. I have plaster walls - cutout is no problem, but the wall is 2" thick. would this work? Thanks. I have an opening of 5 inches in height, length and death is not an issue. Will the speakers them selves fit in that opening. I have no way and cannot cut it out more than 5. Can this speaker be installed on a sloped (cathedral ceiling)? I am trying to determine what speaker to use as my center speaker, this speaker will be over the TV, with the couch on the opposite wall. Thanks for the help.